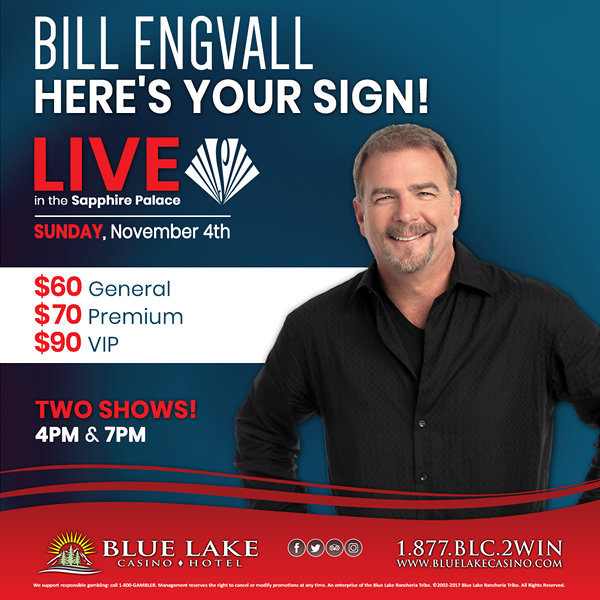 Blue Lake Casino & Hotel proudly presents Bill Engvall LIVE in the Sapphire Place Sunday, Nov. 4th. Bill Engvall is a Grammy nominated, multi-platinum selling recording artist and one of the top comedians in the country. Most recently, Bill was a contestant on season 17 of ABC’s Dancing with the Stars, and as a fan favorite, he made it to the finals. He previously starred in, and executive produced, the TBS sitcom The Bill Engvall Show. Bill was part of the enormously successful Blue Collar Comedy concert films, which sold over nine million units and received a Grammy nomination.